Motor Design The motor works to maximum performance with the HEPA filter attached to the motor housing. Extra Filtration First motor design to be used in conjunction with a HEPA filter. True H13 class HEPA filter (Neutralizer) >99.95%. Motor Protection Self resetting feature that prevents motor from burning up in case unit tips over or if water gets up in motor. Everyone in your family, including those with asthma and allergies, will appreciate the Rainbow® Cleaning System. The Rainbow removes a significant amount of allergen from carpeting. The allergen that is removed cannot escape. It stays in the water basin. The Rainbow does not experience a reduction in allergen pick-up in a partially filled water basin. The Rainbow user is not excessively exposed to allergen while emptying the water basin. Order this item if you have an E-2 (e SERIES™) system and are having problems with your main unit and need to clean the next day! 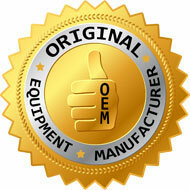 We will include a return label for your old unit so you can receive a credit towards this purchase. By doing this, it will allow you to get a current factory replacement with all the revisions and upgrades without waiting for your unit to be repaired. This model carries a complete 10 year labor warranty and pickup service at your doorstep. If something should go wrong, all you have to do is call our toll free number and our specialists will help you troubleshoot or schedule a pickup. Our refurbished systems are done by factory authorized technicians so you can feel confident you are getting what you pay for. If you are looking for a Rainbow to last the next 10-20 years without an issue, then understand we have that same thought in mind when doing our rebuilds. We are the ONLY company on the internet that can make this claim! (Message us if you find anyone else!) All of our rebuilds are done with factory original parts. Over the years, many improvements have been done and we perform all upgrades on our refurbished units before sending to you. This ensures you get the best performance and durability that Rainbow has to offer. If you experience a problem that cannot be simply handled over the phone, we will have your unit picked up at your home the next day for free. All warranty work is done the same day. NOTE: Does not include water basin. Only reviews from customers that have ordered this item from RainVac will be published. Factory OEM motor for the E-2 (e SERIES™) Rainbow system. This motor has been improved in several areas over the years so it will give better performance and durability than your existing motor. In 1998, Rexair installed two motor versions into the E-2 Rainbow. One was the AME motor and the other was the GSE motor. As time went on, they found that the GSE motor was the superior design and started to install exclusively while discontinuing the AME motor. In late 2016 a third version motor became available. This is noted as the "E" version and replaces the GSE design. Your original separator and nut will fit all three designs. This owner's manual is for the E-2 (e SERIES™) Rainbow which comes equipped with the R7292 HEPA filter. If your Rainbow's rear cover assembly has two tabs you press to remove, then you need to order the version two (v2) manual. This owner's manual is for the E-2 (e SERIES™) Rainbow which comes equipped with the R10520 HEPA filter. If your Rainbow's HEPA filter requires removal with screws, then you need to order the version one (v1) manual. This manual covers the Rainbow effective serial number 9280000 with a start date of March 27th 2000 through serial number 9999999 and an end date of September 3rd 2003. The clean Rainbow Deodorizer and Air Freshener / Fresh Air Concentrate will help neutralize odors in your home by adding a small amount in your water pan. Helps to remove cooking, smoke, pet, and mildew smell. While you neutralize odors, you will also be filling your home with a clean fresh scent. Also helps to kill germs and bacteria from spreading during the cold season! Attention: If swallowed, seek medical attention. DO NOT induce vomiting. Avoid contact with eyes-immediately flush eyes with water upon contact. This item is 16 ounces and is very concentrated compared to the previous version (R569) which was 32 ounces. The 32 ounce bottle instructions called for 2 cap full per 2 quarts of water. There is no recently viewed product.